At 3:00 AM on April 15, the MV Bilash, a large bulk cargo vessel carrying 775 metric tonnes of coal, sank in the Pashur River watershed near Harbaria Point, upstream of the Sundarbans World Heritage Site. In July, the UNESCO World Heritage Committee issued a decision urging the government of Bangladesh to put an adequate management system in place for shipping to minimize negative impacts to the Sundarbans. 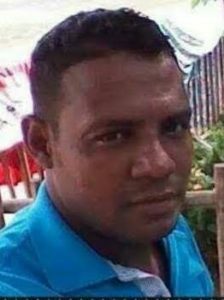 This is the sixth time in four years that a cargo shipping disaster has occurred where the government of Bangladesh has had no preparation to manage these accidents. As of today, there is still no government action to clean up the coal barge that sank on April 15. 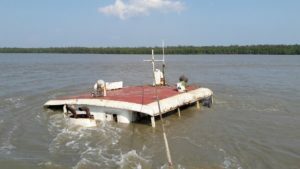 The barge owner started recovering submerged coal from the barge manually on April 20. The waterways flowing through the Sundarbans are home to the Dhangmari and Chandpai dolphin sanctuaries, created to protect the rare Irrawaddy and Ganges dolphins. Additionally, the Sundarbans is critical habitat for the endangered Bengal tiger. There has been no practical effort by the Bangladesh government to recover the vessel that has been polluting the Pashur River for more than a week. Additionally, the government has taken no measures to avoid these increasingly more frequent accidents. The governments of India and Bangladesh are aggressively moving forward with the construction of the proposed Rampal coal-fired power plant which will dramatically increase the shipping of coal, coal ash and gypsum pollutants through the Sundarbans. Photos and videos of the spill site can be downloaded here. Please credit Noor Alam, Pashur River Waterkeeper. 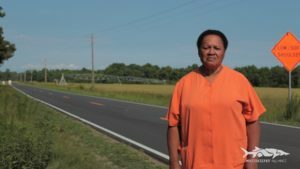 Yesterday, Waterkeeper Alliance, Cape Fear River Watch and the North Carolina Environmental Justice Network (NCEJN), represented by Elizabeth Haddix and Mark Dorosin of the Julius L. Chambers for Civil Rights, reached a settlement with the North Carolina Department of Environmental Quality (NCDEQ) that they hope will ensure prompt, transparent action by the agency in response to citizen complaints about animal agriculture operations. 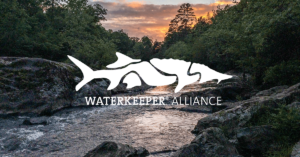 Waterkeeper Alliance was founded to ensure the protection of one of our greatest natural resources—water—so all can safely enjoy and benefit from our waterways. We fight polluters that seek to monopolize the use of waterways to their financial benefit. Efforts to rob the public of their health, safety, and quality of life in order to line the pockets of the wealthiest corporations and individuals flies in the face of the principles that we hold dear. Right now, the federal government is reworking both how it will take in revenue and how it will spend money – decisions that will have far-reaching impacts. A few weeks ago, Congress passed a federal budget resolution for fiscal year 2018, which is essentially a blueprint for what Members of Congress think the expenses and revenue of the federal government should be. This resolution contains language that makes it easier for Congress to pass a tax overhaul bill and paves the way to allow drilling in the Arctic National Wildlife Refuge as a way to increase government revenue. Not only would drilling in the Arctic National Wildlife Refuge spoil one of our last truly wild places and impact an ecosystem already stressed by climate change, it would lead to increased greenhouse gas emissions. The Senate also released its version of the budget for the U.S. Environmental Protection Agency last week. While the cuts proposed by the bill are not nearly as extreme as what was proposed by the Trump administration, the Senate’s proposed cuts would accelerate efforts to ensure that EPA will not do its job by slashing funds for everyday operations and cutting staff. The bill also contains dangerous riders that would benefit polluting companies. The pending tax plan bills—one which passed the House of Representatives and the other which will be considered by the Senate Budget Committee this week—would perpetuate inequality. Both versions are, in large part, enormous tax cuts for the wealthy and corporations built on the backs of the middle and working class. Additionally, the Trump administration is focused on cutting services and protections that benefit average Americans and irresponsibly selling off our public resources to fossil fuel companies—all to make up for the decreased tax revenue caused by tax cuts for the rich. Both the tax plan and the federal budget process show the same disturbing trend—transferring prosperity and protections away from the wider public to benefit the wealthy and powerful few. The impacts of some of these cuts and actions may not be immediately obvious, but they will hurt disadvantaged people the most in the long-term. Whether they drastically increase fossil fuel production and emissions, increase pollution into our waterways, or make visiting national parks too expensive for many Americans, these policies show a blatant disregard for the government’s primary function — doing what is best for the majority of Americans. President Trump’s decision is divorced from reality and puts the United States on the wrong side of history. NEW YORK, NY – President Trump today announced his decision to withdraw the United States from the landmark Paris Agreement, a monumental accord that is essential for the survival of life on our planet. This decision threatens our economy, environment and communities, and will have a disproportionate impact on our most vulnerable populations. Signed by 195 countries in December 2015, the Paris Agreement outlined a long-term, global framework to enable countries to limit the rise in average global temperature to well below 2°C, with 1.5°C being the ideal benchmark. The United States’ participation in the agreement is vital to its success, as Americans emit more than double the global average of CO2 per person and the U.S. is the second highest producer of carbon in the world after China. Withdrawing from the agreement may weaken other countries’ drive to uphold their pledges and the U.S. would sit with just Syria and Nicaragua as the only countries in the United Nations Framework Convention on Climate Change who have not agreed to the accord. President Trump’s decision is divorced from reality and is not supported by the majority of Americans. A recent poll shows 71% of Americans support the United States participation in the agreement, understanding that global action protects us and that American leadership is critical for securing global action. As the richest country in the world and the second largest emitter of greenhouse gases, the United States has an obligation to take a leadership role in curbing the climate crises by reducing our emissions and shifting toward a clean energy future. Market forces and investments in renewable energy all across the U.S. are already driving a transition away from a carbon-based economy, most notably in states that voted for Trump: Texas is the top state in wind energy production, and North Carolina and Arizona are second and third, respectively, in solar energy generation in the country. Indonesian mining advocacy network, JATAM, and international clean water nonprofit, Waterkeeper Alliance, today released a damning report, “Hungry Coal – Coal Mining and Food Security in Indonesia,” that shows coal mining is the main threat to Indonesian food security and a major land-use policy conflict that demands government intervention. The report reveals that almost 10 percent of Indonesia’s land is allocated to coal mining, 80 percent of which is under exploration and poses the greatest risk to Indonesia’s food security than any other land use. Indonesia’s national government has reined in the expansion of oil palm planting and has promised a similar check of coal’s expansion, but as yet these promised reforms remain outstanding. The report further reveals that coal companies are avoiding compliance with Indonesia’s land rehabilitation and water protection regulations. The current condition of mined land causes acid mine drainage that kills fish and destroys rice crops. Indonesia’s water quality regulations do not adequately protect fish farming and agriculture from the heavy metals released by coal mines. “Operating coal mines occupy almost 4 million hectares in Indonesia and are having a devastating impact. 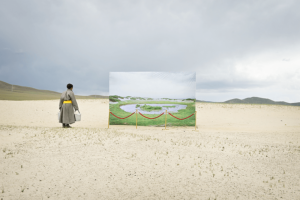 Coal mining leaves the land scarred and barren, water catchments choked and polluted, and groundwater depressed. 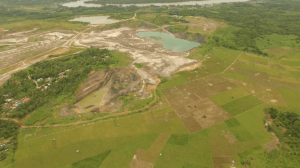 The current poor compliance with coal mine rehabilitation means that coal mining can confidently be assumed to destroy any potential cultivation on the land that it affects,” said JATAM National Coordinator, Merah Johansyah. “Farmers interviewed for the report told us that mine pit water is causing rice yields to drop by 50 percent and fish production by 80 percent. All but two of the 17 water samples we took from coal mine sites in East Kalimantan and surrounding waterways had concentrations of aluminum, iron, manganese and/or pH levels that would be expected to lower rice and fish farm yields,” said Paul Winn, International Energy Campaigner with Waterkeeper Alliance. The report identifies coal mining concessions covering 19 percent of existing rice cultivation and 23 percent of land capable of rice cultivation outside of Java and estimates that coal mining has already reduced Indonesia’s annual rice production by 1.7 million tonnes and that 6 million tonnes of annual rice production is at risk. 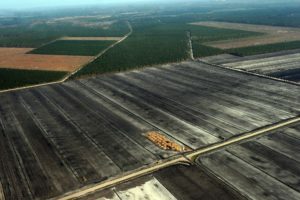 If coal companies are allowed to mine exploration concessions that cover existing cultivated land, the report estimates that almost 18.5 million tonnes of potential annual rice production could be lost if mining proceeds on all the coal concessions that cover land capable of growing rice. “Indonesia cannot afford to lose valuable food producing land to coal. Nor can it continue to allow its water resources, essential for crops, to be polluted and choked with sediment. If the country is to continue to feed itself, the National Government must radically alter its land use priorities,” said Donna Lisenby, Clean and Safe Energy campaign manager with Waterkeeper Alliance. Coal mining and coal exploration is the largest net industrial land use allocation in Indonesia, covering almost 17.5 million hectares. Contrary to Indonesian regulations, most coal companies leave mined land and water resources damaged and useless for food production which continues long after mining. Due to the depletion of groundwater and surface water catchment caused by coal mining, villagers surrounding coal mines are forced to use mine pit water for washing, bathing, irrigation of crops and fish farming. Farmers using mine pit water report rice yields down 50 percent and fish production down 80 percent. 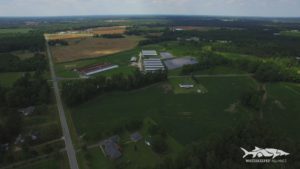 All but two of the 17 water samples taken from coal mines and surrounding waterways had concentrations of aluminum, iron, manganese and/or pH levels likely to have an impact on crop production and fish farming. Indonesia’s water quality guidelines do not set maximum allowable concentration for these heavy metals in water used for aquaculture or agriculture. Coal concessions cover 19 percent of Indonesia’s existing mapped rice land and 23 percent of land identified as capable of growing rice. Much of the land identified a capable of rice cultivation is occupied by forestry and oil palm plantations, yet unlike coal mining, these land uses do not exclude its use for future food production. We estimate that about 1.7 million tonnes of rice per year has been lost due to coal mining and 6 million tonnes per year of rice production is at risk from existing cultivated land. If coal concessions within the area of land identified as capable of rice cultivation is mined an additional 11 million tonnes of rice per year will be lost. If Indonesia’s rice systems are improved with irrigation, better seed varieties and fertilizer, over 50 million tonnes of Indonesia’s potential rice production is at risk to coal mining. For the Bahasa version of the report, click here. 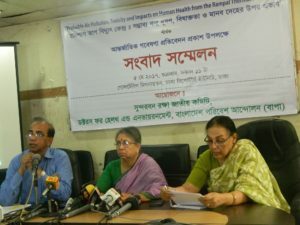 A press conference was held for the publication of international research report titled as “Rampal Thermal Power Plant: Potential Air Pollution, Toxicity and Effects on Human Health” in the roundtable room of Dhaka Reporters Unity at 5:00 am on Friday, May 5, 017. It was organized jointly by the National Committee for Saving the Sundarbans (NCSS), Doctors for Health and Environment and Bangladesh Poribesh Andolon (BAPA). The meeting was presided over by Advocate Sultana Kamal, Convener of NCSS, while Lauri Myllyvirta, Coal and Air Pollution Specialist of Greenpeace, presented his study. Pediatrician and President of Doctor for Health Professor Dr. Nazmun Nahar, Health Researcher Dr. M Abu Sayeed and Member Secretary of the National Committee for Saving the Sundarbans & General Secretary of BAPA Dr. Mohd. Abdul Matin and BAPA Joint Secretary Sharif Jamil spoke in the press conference. By presenting his research paper, Lauri Myllyvirta said that the proposed 1320 MW coal-based power plant in Rampal will be one of the largest single sources of air pollution throughout Bangladesh. The source of the power plant will increase the air toxicity level in the Sundarbans’ ecosystem including the entire south-west of Bangladesh and Khulna, Ashoknagar, Kalyangar, Satkhira, Begumganj, Bashirhat, Narsingdi, Noakhali, Basipur and Comilla regions. Residents of Dhaka and Calcutta, especially children and old people, will be severely affected by the air pollution. He said that the emission of power plants throughout the working hours – will increase the risk of stroke, lung cancer, cardiovascular and respiratory diseases for adults, as well as children. Even if the current air pollution level of Bangladesh is zero, the power plant alone will cause premature death of 6,000 people and the low birth weight of 24,000 children. The day hours will impact the highest and the average Nitrogen oxide levels of the surrounding air will increase up to 25% of the current city’s average, and Sulfur dioxide levels will increase up to 50%. He also mentioned that the high density of population in this region and the weak management of emission system will be the cause for more harmful health effects. The tender has five to ten times more emission of Sulfur dioxide, Nitrogen oxide, dust and mercury than the standard level and state-of-art technology emission level. The power plant can emit strong harmful nerve poison named Mercury, which can damage the brain and the nerve-system of children. Mercury emission from Rampal Power Plant will be sufficient enough to make the fish residing around 70 square kilometers non-edible. These highly affected areas are completely submerged in the Sundarbans wetlands. In addition, during the lifetime of the plant, 10,000 kg of mercury will be deposited as coal ash in ponds which will later be carried away by flood. The extra mercury will cause more damage to the aquatic food-cycle of the Sundarbans and the Bay of Bengal, which will affect millions of people feeding on those fishes. Advocate Sultana Kamal said that coal-based projects considering environmental and humanitarian grounds can never be accepted, which is already proven by multiple international research works. She informed that they have repeatedly provided science-based facts, but the government has not taken any of these issues into consideration, rather it is going to implement such a potentially harmful project with false information. Referring to the plant builder company MD’s clear denial of using ultra super critical technology in the plant, Sultana Kamal said that as such there had been no adequately effective measures taken yet to combat such pollutions. The government’s EIA report on this project is not based on science and there is no transparency there, and they have already rejected it. She said that she does not possess any personal interests or conflicts. Only in the interests of protecting the Sundarbans, the environment and the nation, she was speaking against the Rampal project with valid scientific information and facts. Professor Dr. Nazmun Nahar said that on one hand, medical science has been making continuous efforts to reduce child mortality and has been achieving many successes. On the other hand, due to the possible pollution from the Rampal project, 6,000 children will die prematurely and 24,000 children will be born with less weight, whose large part will be the burden of the society due to their disability. In our country, 48% of children are born with low weight because of the environmental crisis and their mothers’ unhealthy diet. We will lag behind in the children’s health parameter when the victims of Rampal’s will be added. Pregnant mothers are very dependent on fish and vegetables, but they contain formalin or harmful chemicals. Scientific data shows that, if the Rampal project is implemented, its toxicity will not only affect the nearby sea, river and soil, but also a vast area of Bangladesh. It will also disperse toxic chemicals in fish and vegetables. In the future, there is a possibility for increment of not only low weight but disable babies. Professor Dr. M Abu Sayeed said, by the influence of Rampal project, soil, water and air pollution will increase affecting the public health of the country. Due to Mercury and other pollutants’ emission from this project, children will possess under-developed brains which will cause many physical and psychological problems. Therefore, Rampal Project must be abandoned. Today, President Trump signed presidential memorandums to advance construction of the Dakota Access and the Keystone XL pipelines that will threaten the water supplies of millions, including the Standing Rock Sioux. Waterkeeper Alliance, a global movement uniting more than 300 Waterkeeper Organizations and Affiliates across the world, says the order means dire consequences for the American people. President Trump also signed an executive order to expedite environmental reviews of other infrastructure projects. Waterkeeper Alliance says this could allow potentially dangerous projects to move forward without regard to public safety or health. Each year in the United States, oil pipelines spill an average of 11-million gallons. 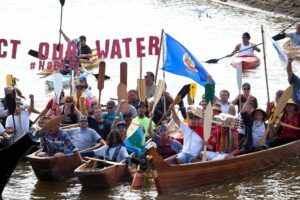 The Keystone XL and Dakota Access pipelines threaten the fishable, swimmable, drinkable water for millions and the viability of North American farmland.